© 2003 Andy Warhol Foundation for the Visual Arts/ Artist Rights Society (ARS), New York, New York. Photograph by R. H. Hensleigh. The quintessential Pop artist, Andy Warhol strove to make art like a machine, adopting the mass-production technique of silkscreen printing to represent the popular culture that surrounded him. His paintings and prints of supermarket goods, celebrities and other objects of conspicuous consumption vividly reflect the optimism of postwar America. While Warhol embraced modern consumer culture, his appropriations of car crashes, suicides, riots and other disasters offer a covert critique of its excesses. 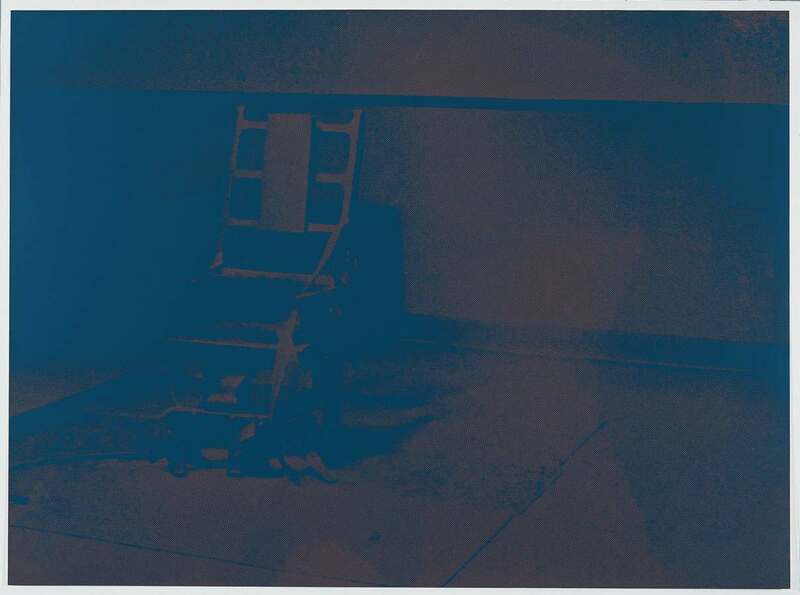 Electric Chair is one of the most iconic images from Warhol’s grim Death and Disaster series begun early in his career. He first used the ominous image, based on a newspaper photograph from Sing Sing prison, in 1963, the year the last executions took place in New York state. In 1971, Warhol adapted the subject to a portfolio of eight screenprints, each with a distinctly different color palette, the most somber of which was printed in subtly contrasting shades of blue and mauve. He later used the infamous chair in a poster protesting capital punishment, underscoring a moral dimension to his deadpan reproductions.